Alexis has participated in many various tournaments which have helped her to collect the huge chunk of money. Plus money has never been a hassle for her because her father is a billionaire entrepreneur who is the founder of Paul Mitchell Hair Care Products as well Tequila company Patron. Currently, Alexis has a job as a radio host and this also has contributed to her current net worth. 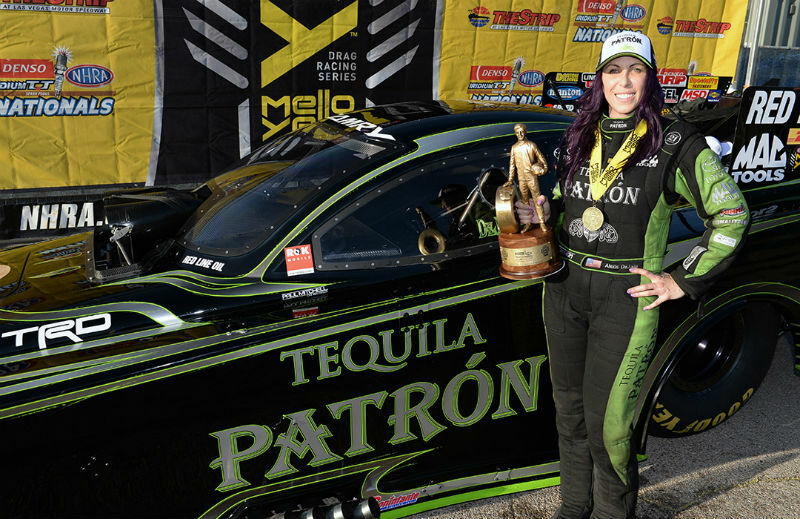 How Did Alexis DeJoria Start Her Career And Spend Early Life and Childhood? Alexis DeJoria was born on September 24, 1977, in Venice Beach, California, the United States. She is the daughter of John Paul DeJoria, a famous entrepreneur, and Jamie Briggs. She has five siblings, four half-brothers John Anthony DeJoria, Micheal DeJoria, Justin DeJoria, and John Paul DeJoria II and one half-sister, Michaeline DeJoria. Concerning about her education, Alexis shifted to Florida from California for attending Frank Hawley's Drag Racing School which is famous for drag racing. 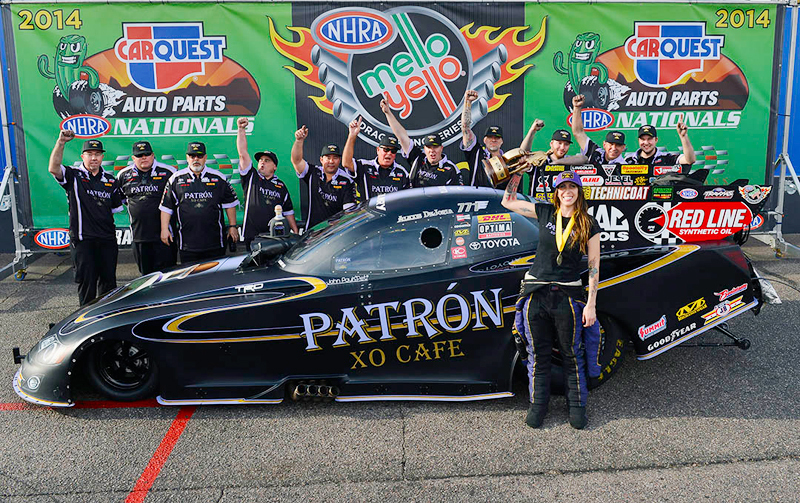 In 2005, Alexis DeJoria started her racing career and entered into the car racing in the Super Gas Category. Later, she moved to a rear engine Super Comp Dragster. Within 8 months of association with the NHRA, she won the Sportsman nationals in Fontana, California. For more than two-year, Alexis has raced with the West coast in a Top Alcohol Funny Car, TAFC. In 2009, she established her own Motorsporting racing team named Stealth Motorsports. In the same year, Alexis accidentally crashed her car due to the brakes fail while she was racing in Englishtown, New Jersey. In 2011, Alexis became the winner of her first ever NHRA national event win in TAFC category at the Northwest Fall Nationals and she was the second woman ever to make such record. She was also the co-owner of the team as well as operated it for about three years. In 2011, Alexis left the team to join Kalitta Motorsports, a Michigan-based team run by iconic racer Connie "The Bounty Hunter Kalitta and she is its fourth member and second funny car driver. In the same year, Alexis raced a Nitro powered Funny Car at Texas Fall Nationals. In 2012, she made her first final round of the NHRA Thunder Valley Nationals in Bristol, Tennessee. And in the same year, Alexis made a record of the best score of her career with a run of 4.032 seconds and also a record of the best speed with 319.07 mph at Reading. In the season of 2013, Alexis had four semi-finals finishes. She created the history to be the first woman to win the sub-four second run, of 3.997-second ET. 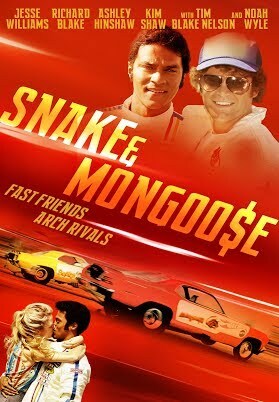 Besides that, Alexis also appeared in the movie, "Snake and Mongoose", which was released in 2013. Talking about personal life, Alexis DeJoria started dating Jesse James, a TV personality and motorcycle customizer. Later, the couple got married on March 24, 2013, which took place at Alexi's father's property. From a previous relationship, Alexis has a daughter Isabella (born in 2003).